Endodontics is the dental specialty that deals with the treatment of problems related to the soft tissue located within the roots of a tooth. The root canal specialists at Limited to Endodontics and their team provide the following services that will allow you to maintain your teeth and keep them for a lifetime. 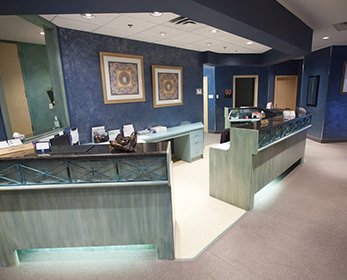 For patients who have a certain degree of anxiety about their treatment, all levels of sedation are available, including in-office I.V. sedation, and general anaesthetic that is administered by a certified anaesthesiologist. Pulp is soft tissue made up of blood vessels and nerves that is located inside the root canal of your tooth. The pulp helps your tooth grow but is not needed once your tooth is fully developed. When the pulp gets infected then it needs to be removed. This procedure is referred to as conventional root canal treatment. When conventional root canal treatment cannot be done or has not been successful then a surgical root canal procedure may need to be performed. Surgery may be done to check the end of the root for cracks, remove parts of the root that could not be removed during conventional root canal treatment, or to clear up an infection that has not healed after conventional treatment. In some cases, a tooth that has received endodontic treatment fails to heal or remains painful. Occasionally, the tooth becomes painful or diseased months or even years after successful treatment. If your tooth has failed to heal or has developed new problems, you have a second chance. Another endodontic procedure may be able to save your tooth. Focal Infection Theory Fact Sheet – explains the history of focal infection and research showing that there is no valid, scientific evidence linking endodontically treated teeth and systemic disease. Myths About Root Canals and Root Canal Pain – this patient-focused information on the AAE website explains the safety and effectiveness of root canal treatment. Tooth Saving Tips – another patient-focused resources explaining why saving a tooth should always be the first choice for the greatest health and cosmetic results. Endodontists Put Root Canal Patients at Ease – this video, which you can embed on your practice website, educates patients about endodontic specialists and root canal procedures. There is a lot of misinformation being shared online and through social media about root canal treatment. Use these AAE resources and your personal expertise as endodontists to help dispel these myths! 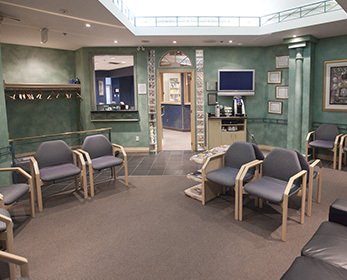 To give you more information about conventional root canal treatment, surgical root canal treatment, and endodontic retreatment we have compiled information on the procedures we perform. This information is located in the About Endodontics section of our web site.